A new school year is here and while it may be tough to get back into the routine, making sure your child gets enough sleep is one of the most important things you can do to ensure he’s refreshed and ready to learn. Young kids who are attending school all day for the first time are even more likely to suffer from a lack of sleep. 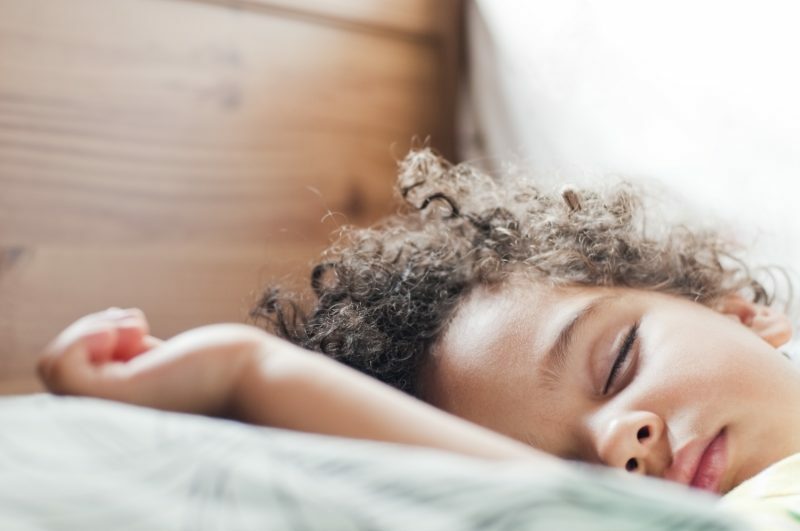 “Studies have shown that a small percentage of 5 year olds still need naps, which makes their need for a good’s night sleep even more important,” said Dr. Krishna. 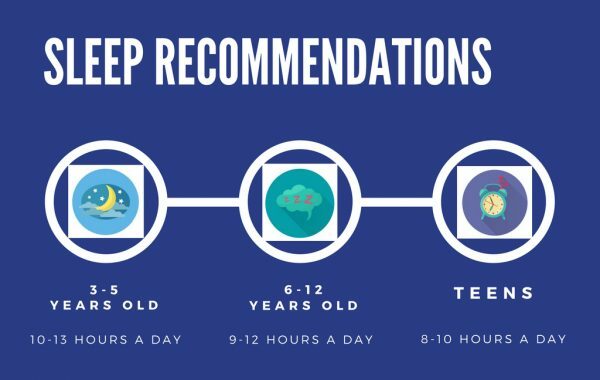 This past June, the American Academy of Pediatrics endorsed new sleep recommendations for children published by the American Academy of Sleep Medicine. “Some individuals need more sleep than others, so those ranges account for that natural variation,” said Dr. Krishna. A recent study published in the journal Sleep Medicine showed that even just an average of 18.2 more minutes per night can be beneficial. How can you tell if your child is getting enough sleep? One telltale sign she’s not getting enough is she’ll be difficult to awaken in the morning. Look at how your own schedule is affecting your child. Are you and your child frequently running to the store late at night to pick up milk or other staples? Do you or the other parent wake your child after working a late shift? Your daily routine might be preventing your child from getting the recommended amount of sleep. Devise a schedule that’s best for your family. Perhaps you need to have dinner earlier so your child can go to bed at a consistent time. Be realistic about after-school or work activities that could interfere with bedtime. Reduce or eliminate caffeine from the diet. Caffeine, including sodas and iced tea, should not be consumed at all by children or at least not after lunch, as the effects of caffeine can last for several hours and interfere with sleep quantity and quality. Many parents might be surprised to learn that some brands of soft drinks, such as orange sodas and root beer, contain caffeine while others do not, so check the labels. Chocolate and chocolate milk are less of a problem, but they can still affect sleep. Water or plain, low-fat milk are the best choices. Turn off the TV and other screens. The artificial light from TV, computers, video games and other electronic devices disrupts melatonin, our natural sleep hormone, while the content of the media engages the brain. This makes it doubly hard for your child to fall asleep. Read a book to your child in low light or allow your older child to read before bed. Be sure to set a limit on the number of stories. Don’t send your child to bed hungry. A small, healthy snack, such as fruit, string cheese with crackers or a bowl of whole-grain cereal, is OK at bedtime. Avoid chocolate and sugar. Follow a consistent and calming bedtime routine. A warm bath can be a good way for your child to settle down for the night. So can listening to soothing music. Children like predictability, so follow the same bedtime and bedtime routine every day. On the weekends, you can let your child stay up an extra 1-1 ½ hours, if you must. Anything more than that and it will be difficult to get back into the routine on Sunday night. Create a comfortable sleep environment. If your child goes to bed while it’s still light out, room-darkening blinds can help. A fan or white noise machine can drown out noise from traffic, creaky floorboards or barking dogs. Keeping the room temperature cool, but comfortable, will also help promote sleep. Avoid late afternoon naps. Although your child might be tired from a long day at school, avoid letting him nap. In some cases, short naps less than 20 minutes may be OK, as long as they don’t delay bedtime. Any longer and it will be difficult for your child to fall asleep at bedtime. Let your child fall asleep on her own. At the end of the bedtime routine, tuck in your child, kiss her goodnight and leave the room. If you lie down with her or stroke her hair until she falls asleep, she’ll have trouble falling asleep without you.